I had 2 motivations to read the book. One, with this book, I would complete all the book length works contributed by the William Dylarmple (later I realized that I have not read The Age of Kali yet) and another was, my book challenge of reading at least 12 books in 2014 based in India. As the Nine Lives filled in both bills (and similarly, The Age of Kali will fit both bills 🙂 ), it was easy to pick it from the airport Book Store. Nine lives is the story of 9 individuals of India, who collectively signifies the diversity of India. They are from the religious communities and tribes which are otherwise undocumented and most of them, unwritten. This does not mean that William traveled around India looking for Witch Hunters and Snake Charmers. 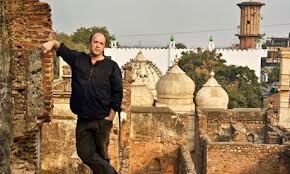 William might not be the first European to document the unknown, mysterious India but what he achieved that his preceders failed was: keeping the neutral observation in his research. No matter how weird and unbelievable the subjects were from the known view of point, he maintained neutral and did not show any judgment in his writing. For these 9 stories, he traveled to the depths of Karnataka, deserts of Rajasthan and the lengths of Himalayas. As a reader, he allows this space of judging the subjects and analyzing their social believes. The stories which moved me most were the story of the Jain Nun and the story of the Buddhist monk. Here, the both ‘lives’ might read similar but there is lots of contrast. However, there is possibility that you might find book monotonous. In lieu of maintaining the neutral tone, he compromises an opportunities of the bringing his opinion on the table. I think so William should not fear sounding an outsider while commenting on Indian myths and culture, because most of the readers in India have accepted William as one of their own. Overall, book offers good value to the readers who are interested in exploring the subject. Nevertheless, the book is avoidable if the cover text does not excites you. 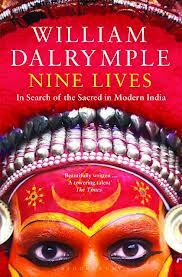 I have given 3 out of 5 stars to Nine Lives by William Drylample on the goodreads.